Rupert Haynes and Raza Bokhari of FSD Pharma discuss the company’s pharma initiative, synthetic cannabinoids and extraction methods. 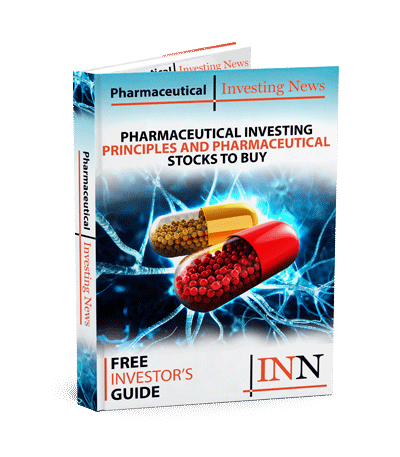 FSD Pharma (CSE:HUGE,OTCQB:FSDDF,FRA:0K9) may have a big focus on cannabis but, as of late, the company is gearing up to bring its products to the pharmaceutical market. In May 2018, when the company went public, it raised C$53 million in funds and funneled it back into “strategic investments,” Bokhari said. Part of the investments were with SciCann Therapeutics, based in Israel, and has a network of researchers, academic institutions and medical centers. The company also has clinical trials for cannabinoids in the gastrointestinal tract, in both irritable bowel syndrome and ulcerative colitis. Other indications in development could be the cardiovascular system. This partnership also allows FSD to utilize SciCann’s cannabinoid scientific research platform. This is part of the FSD’s initiative to invest in “relevant verticals that also are either public or looking to go public,” Bokhari said. Attending JPM week in San Francisco runs along the same vein. Bokhari said the company is meeting with potential targets and certain banks to raise funds for these initiatives. He added the company has had positive responses from institutional investors from the company’s interest in a pipeline of synthetic cannabinoids. To spearhead this initiative, FSD has hired Rupert Haynes, a previous executive from GW Pharmaceuticals (NASDAQ:GWPH), who is now FSD’s CEO. Haynes was the head of global marketing at GW Pharmaceuticals. The company is known for its landmark approval in 2018 with the US Food and Drug Administration Epidiolex. The drug is a plant-derived cannabinoid medicine as a treatment for partients with LGS and Dravet Syndrome. Although Haynes may have a background in the plant-derived medicine, he explained some of its biggest issues. “Cannabis plants are particularly good at sucking up heavy metals and toxins,” he said, which brings into the question of purity from botanical sources. From a pharmaceutical point, synthetic cannabinoids is the best option to minimize the toxic content of any of the products. To manage this purity and synthesising the company is working with “world-class extraction,” which has patents pending, Bokhari said. He added this year should be big for the company as it awaits its Health Canada approval for its facility, which is expected to happen this quarter. For more information check out the audio above.